Calling All Sukiyaki and Shabu-shabu Lovers! 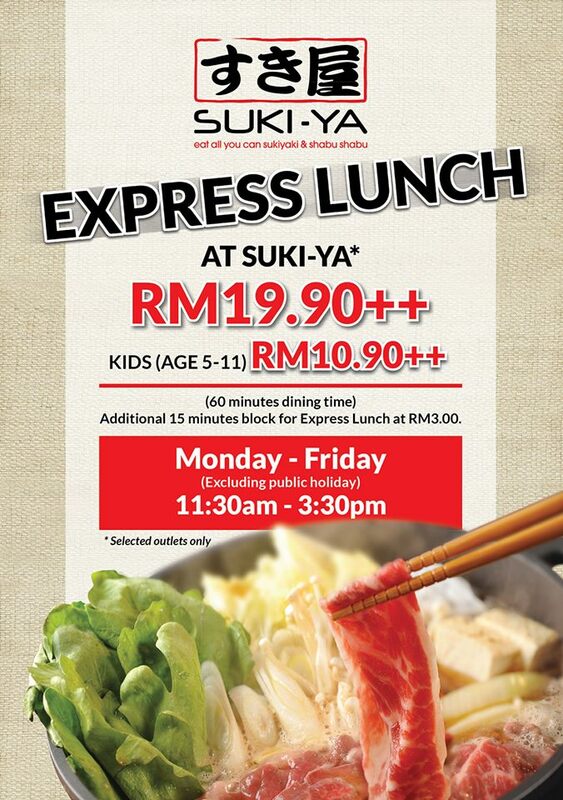 Great news as the famous sukiyaki and shabu-shabu restaurant, Suki-Ya Malaysia is having their Express Lunch at as low as RM 19.90++ for adult and RM RM 10.90++ for Kids (Age 5 – 11). The promotion started onwards 29th October 2018 (Monday) till further notice. AYAM LEJEN - MALAYSIA’S MOST EPIC FIRST FRIED CHICKEN FESTIVAL IS BACK BY POPULAR DEMAND! MALAYSIA’S MOST EPIC FIRST FRIED CHICKEN FESTIVAL IS BACK BY POPULAR DEMAND! Calling All Fried Chicken Lovers! 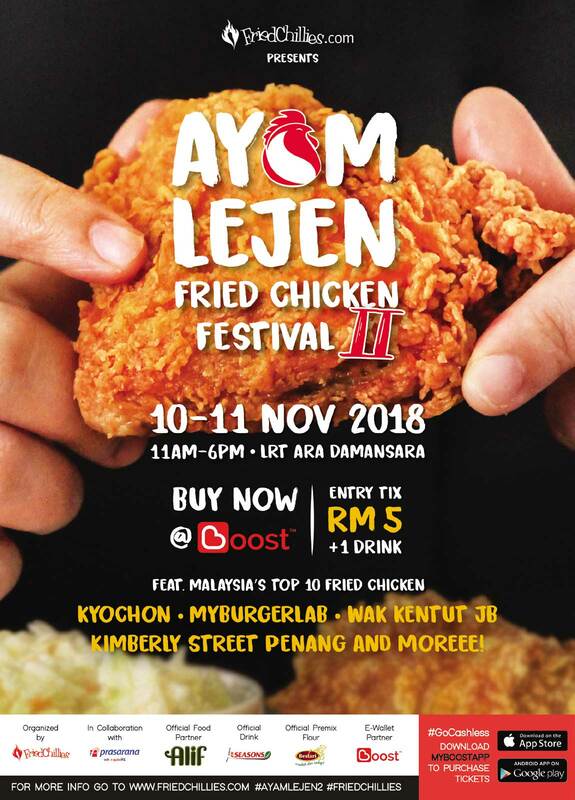 AYAM LEJEN - Malaysia's most epic first fried chicken festival is back again by popular demand. They say ask and you shall receive. 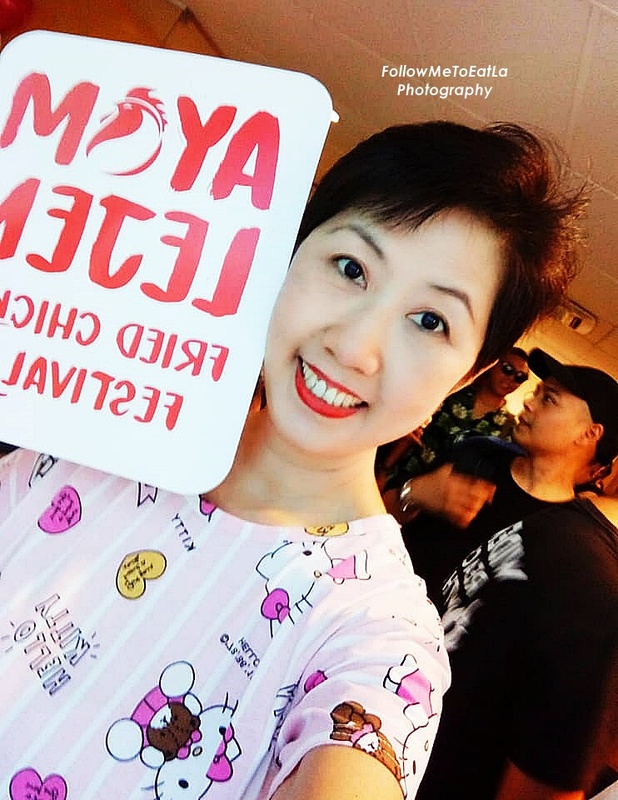 Due to popular demand, FriedChillies.com, Malaysia’s longest running food website is bringing back AYAM LEJEN – a curated food event that shines the spotlight on the ever famous and evergreen, fried chicken. 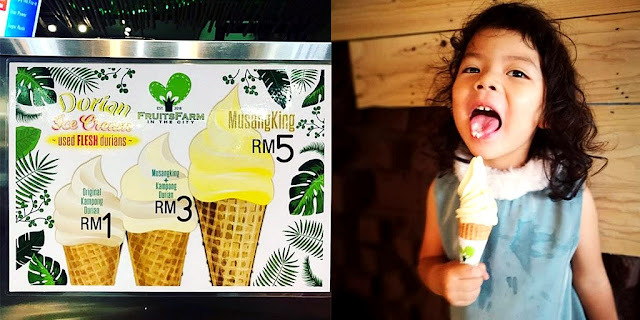 Bentong might be known for its durian, ice cream parlour, tofu puffs or Nangka Madu, but do you know that there's a popular Thai eatery called Tom Yam King that serves up some really delicious and affordable Thai cuisine in Bentong too? 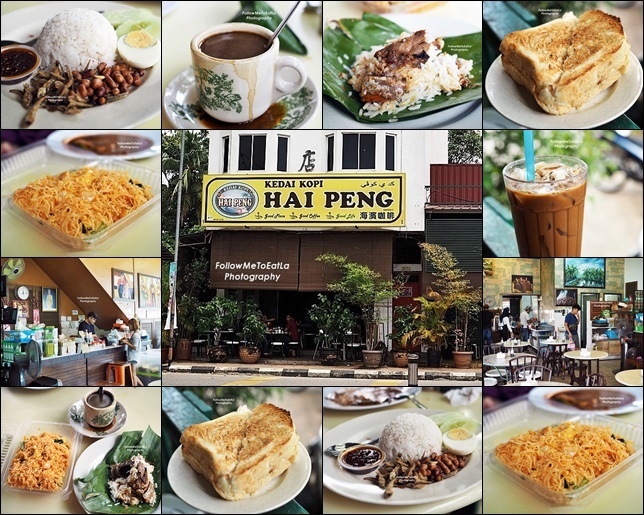 Kedai Kopi Hai Peng or Hai Peng Kopitiam in Kemaman, Terengganu is known for its aromatic coffee, nasi dagang bungkus, charcoal toasted bread and buns since 1940. Located in the small Chukai town in Kemaman, the old-style Kopitiam setting gives the place its unique charm. "WASTE NOT WANT NOT" ~ Remember this idiom of reminding us not to waste anything especially food. 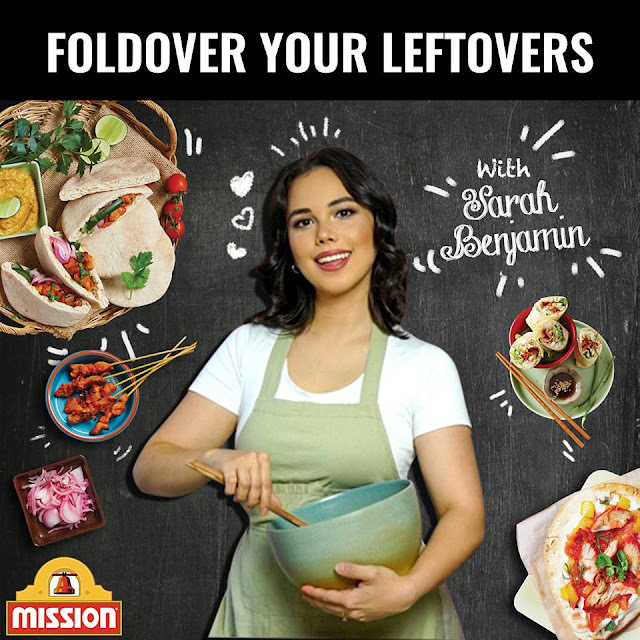 With this in mind, Mission Foods has joint forces with lovely celebrity Chef Sarah Benjamin marking 'WORLD FOOD DAY' on 16 Oct 2018 kicking off an exciting 'FOLDOVER YOUR LEFTOVERS' #ZeroWaste campaign. Fans of the COCA Restaurant Thai-style Suki steamboat can now have another taste of this famous dish that had its heyday from the 1990s right up to the early 2000s. The Thai-licious home-made Tom yum soup and the signature Suki dipping sauce used to have people coming back for it when COCA Restaurant still existed. 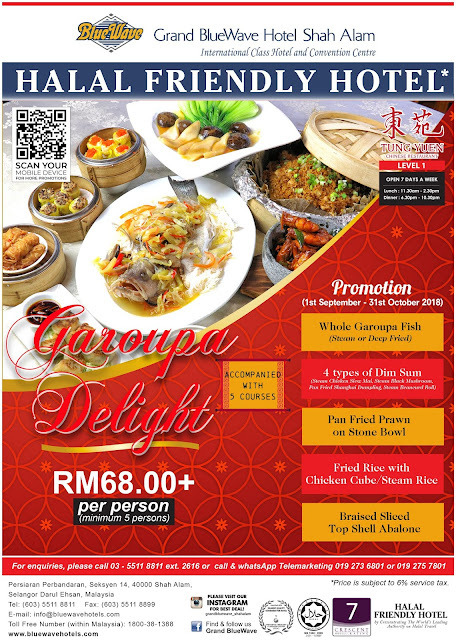 Grand BlueWave Hotel Shah Alam will always aware of creating a new restaurant’s promotion for the new month. Another theme comes and goes. As for the month of October, it is the time for you to fresh up and prepared to have a heavenly experience with our Garoupa Delight Promotion at Tung Yuen Chinese Restaurant. My family loves a good dim sum for a hearty weekend brunch. 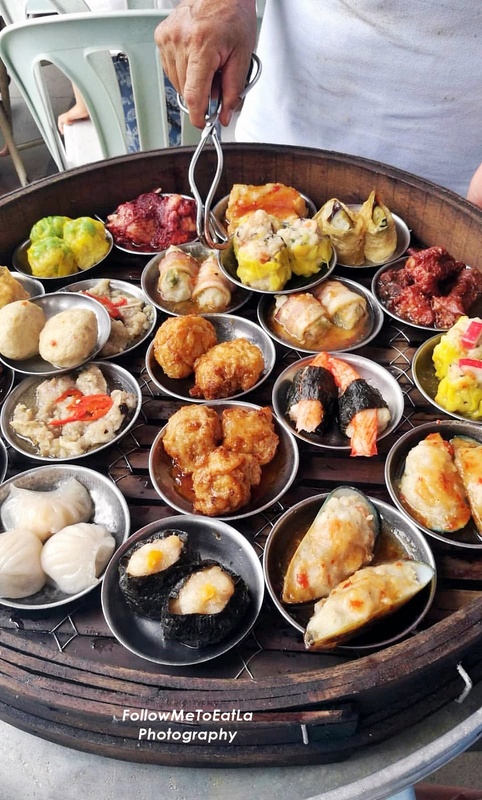 So we are always on the go frequenting many dim sum restaurants near our home at OUG, Sri Petaling and along Old Klang Road checking out good and affordable eats for the whole family. 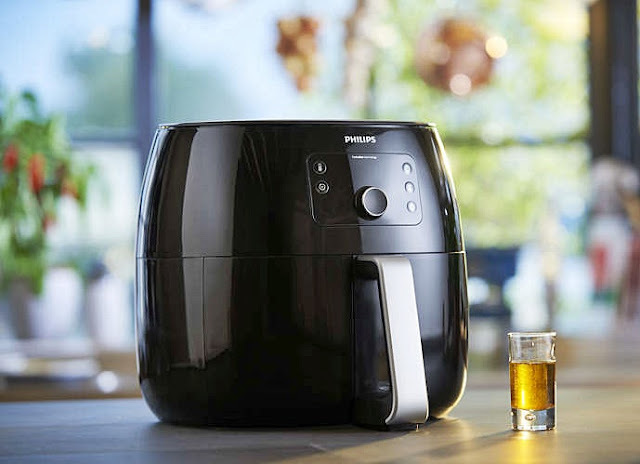 Have you heard of the latest PHILIPS VIVA COLLECTION AIRFRYER XXL? This is by far the Most Powerful Airfryer Ever Made, is the first to incorporate 'Twin TurboStar Technology & Fat Removal Technology', offering a bigger, healthier and better frying experience! Ride on a gastronomic journey and give your taste buds a treat with Pavilion KL's Journey Of Taste, happening throughout October 2018. The mall invites shoppers to explore the treasure trove of culinary to a month-long 'Journey of Taste', a gastronomic showcase of mouth-watering food and drink festival. Pavilion KL Journey Of Taste will definitely bring out the 'foodies' in all of the shoppers at the mall. Have you heard of MTR 1924 before? 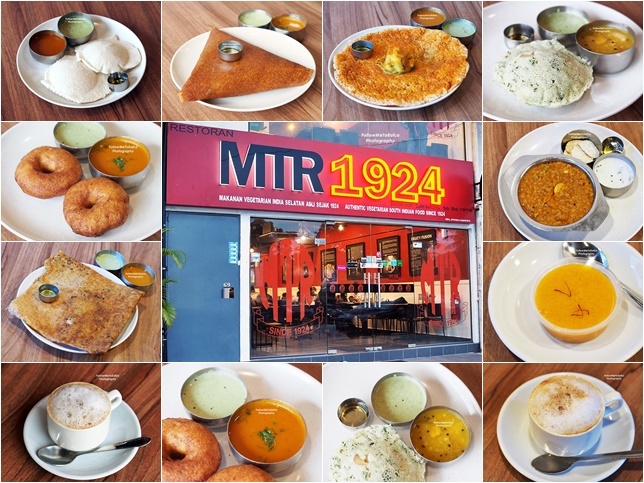 Well, MTR 1924 is the famous legendary South Indian vegetarian restaurant from Bangalore, India with a history dated back to more than 9 decades ago. This humble vegetarian eatery formerly known as Brahim Coffee Club was set up by two enterprising brothers with a culinary background in Lalbagh Fort Road in Bangalore to serve coffee and idlis. Attention All KFC lovers! 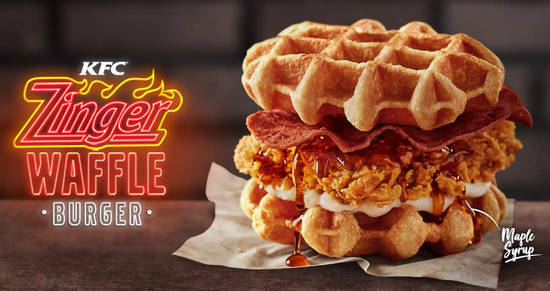 Do you know KFC Malaysia has just launched the new KFC ZINGER WAFFLE BURGER this week? KFC ZINGER WAFFLE BURGER is available now at all KFC outlets in Malaysia effective 2 Oct 2018. 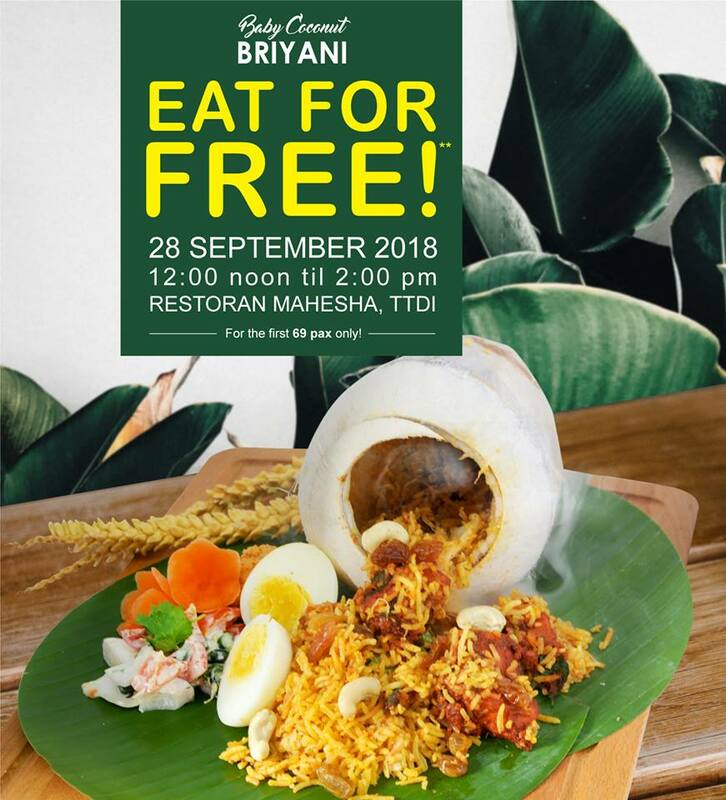 Do you fancy Nasi Briyani or Briyani Rice? I love a good Briyani, also known as biriyani or biryani. Whether it is cooked with chicken, mutton, beef, fish, prawn, or even duck, Nasi Briyani is the hallmark of Indian Cuisine. Hidden in the cyber city of Cyberjaya lies a gem of a restaurant called Xing Zhu Chinese Restaurant. 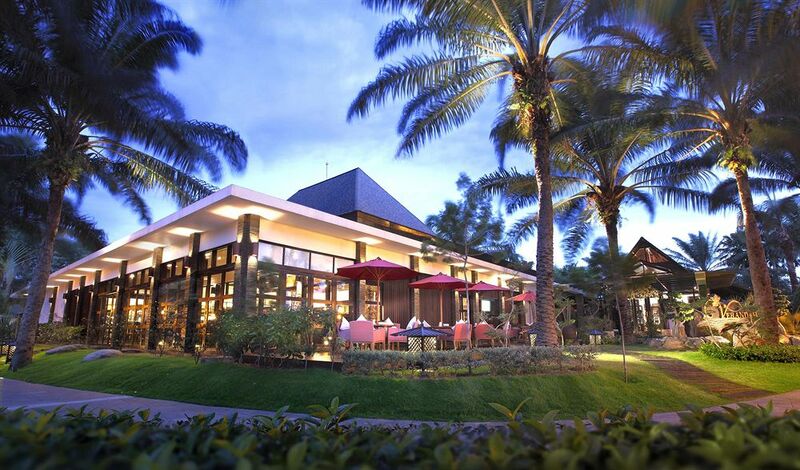 Located in the vicinity of Cyberview Resort & Spa, a 5-star boutique resort, is a tropical paradise set on an award-winning landscaped garden. Sometimes ones need to travel the distance away from the hustle and bustle of city life for an escapade to a secluded resort for a nice short break to relax or to dine with your family and friends. Read on about my dining experience at Xing Zhu Chinese Restaurant.